Our Keepsake Year Socks have adorable, four-color, year emblems on each cuff. These newborn hospital socks are great for Mother & Baby Kits and are sure to keep the feet in your nursery warm and comfortable. 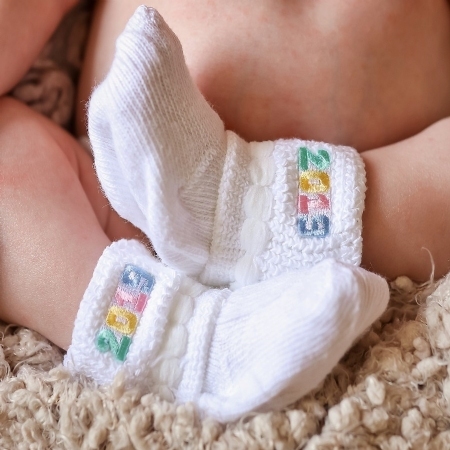 Our Year Socks also make memorable keepsakes for new parents. Smaller case quantities are available to better suit your facility's needs. Keeps tiny feet warm and comfortable! 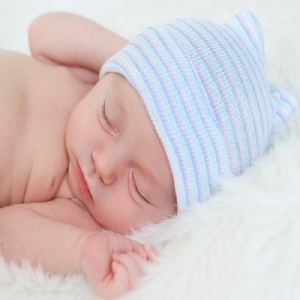 Packaged in bulk cases for easy dispensing in the nursery.